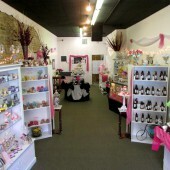 At Bramble Berry, this year was all about trying new things. 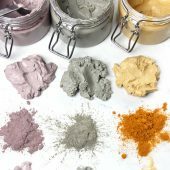 Our CEO and Founder Anne-Marie created a new website, we created a new logo, a new sample program, and brought in almost 100 new products. Of course we worked on plenty of handmade projects as well. Below you’ll find our top 10 tutorials from 2017 in no particular order – they’re a mix of the most popular and a few of our favorites. Thanks for being a part of our creative journey. We can’t wait to try even more new things in 2018. 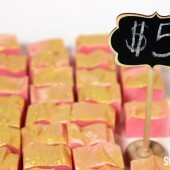 This is hands down the most popular tutorial and Soap Queen TV video of the year. 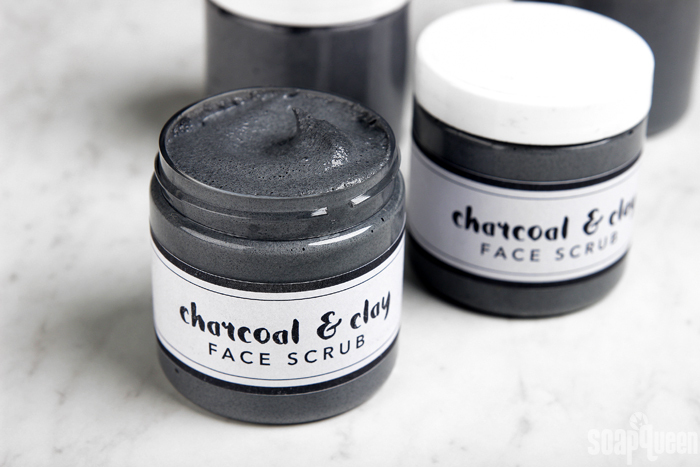 Activated charcoal is a powerful ingredient that helps cleanse and absorb oil from the skin. 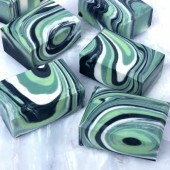 It gives the soap a lovely dark color while the tea tree essential oil gives it a fresh scent. 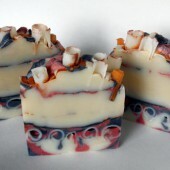 The bars also have a skin-loving mix of oils including coconut, castor, and tamanu. If you haven’t given this one a try, we definitely recommend seeing what all the fuss is about. 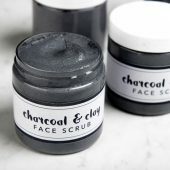 This recipe is a cross between a mask and a scrub. 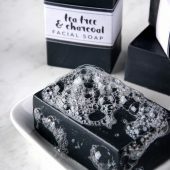 It’s made with activated charcoal, Natural Castile Liquid Soap Base, tamanu oil, tea tree essential oil, and jojoba beads. 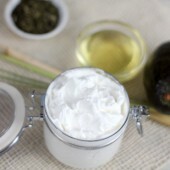 Those ingredients do a lot of work – they cleanse, exfoliate, and moisturize the skin. 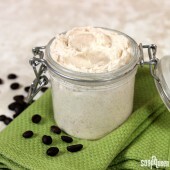 Using this scrub is a great way to pamper yourself and your friends and family. 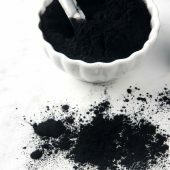 You may be sensing a theme from this year – people can’t get enough activated charcoal. 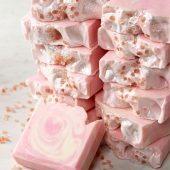 In this tutorial it’s sprinkled in between the layers of soap to create a unique and rustic look. 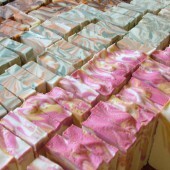 The bars are also made with rose clay, Fired Up Fuchsia Colorant, and Rosehip Jasmine Fragrance Oil. 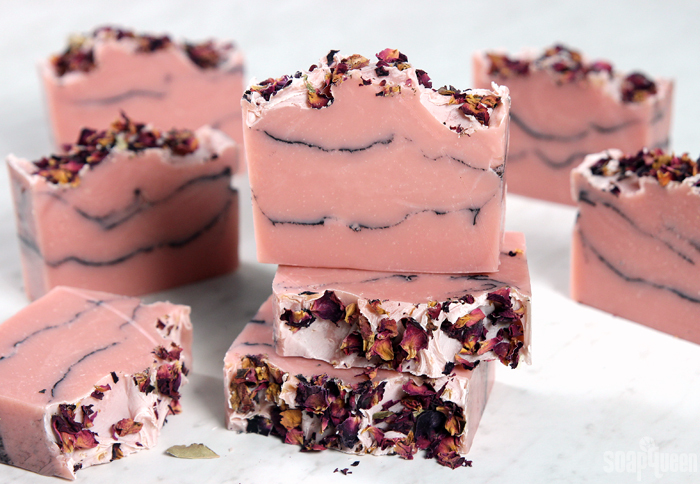 Add a final sprinkle of rose petals and it will soon be ready to cut, cure, and enjoy. We made several versions of this mask in 2017. 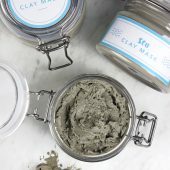 If you can’t decide between a lotion and a clay mask, it’s the best of both worlds. 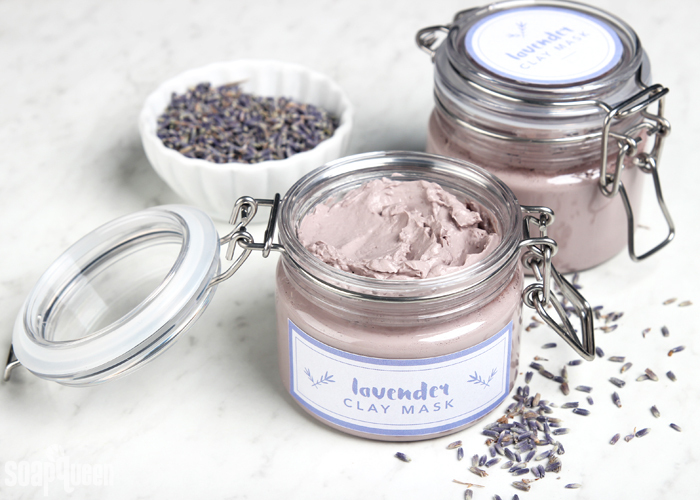 This recipe is made with purple Brazilian clay and Lavender 40/42 Essential Oil. 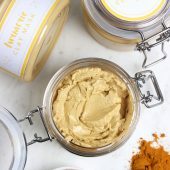 It works best for those with dry skin. 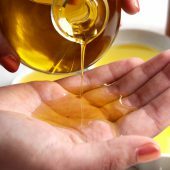 Have normal, oily, or combination skin? 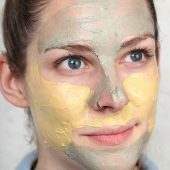 We have mask recipes for you too. 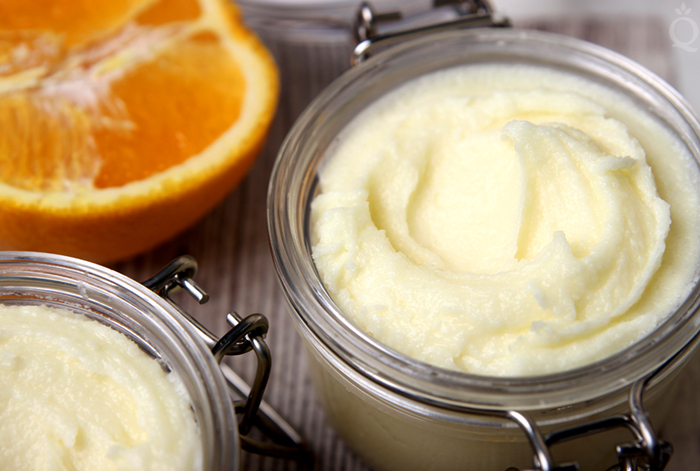 This scrub is popular because it’s easy to make and has an irresistible scent from Orange Peel Cybilla Fragrance Oil and orange butter. Using it in the shower is a treat. 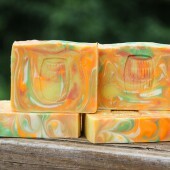 It smells fresh and citrusy, and the sugar and Foaming Bath Butter leave your skin feeling nice and clean. You can’t go wrong with this recipe. 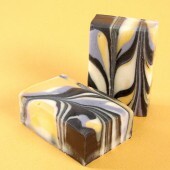 Speaking of irresistible scents, this soap is made with Oatmeal Milk and Honey Fragrance Oil. 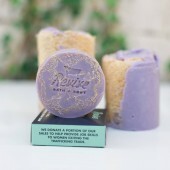 It’s one of our most popular fragrances because it smells so comforting. 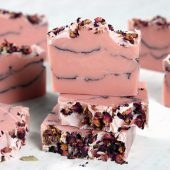 We wanted a bar that feels as comforting as it smells, so the recipe is made with luxurious ingredients like goat milk, cocoa butter and apricot kernel oil. 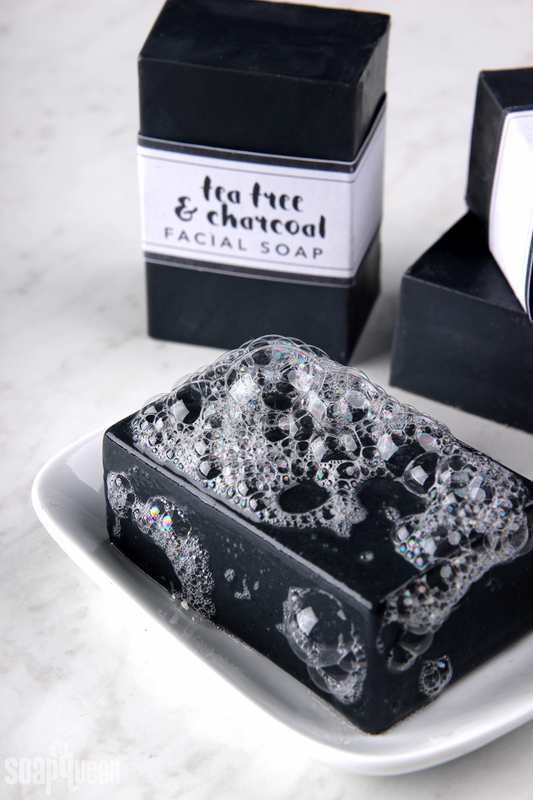 It leaves your skin feeling silky and smooth. 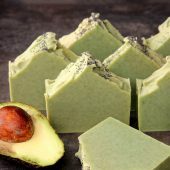 This recipe is built for a relaxing night in. 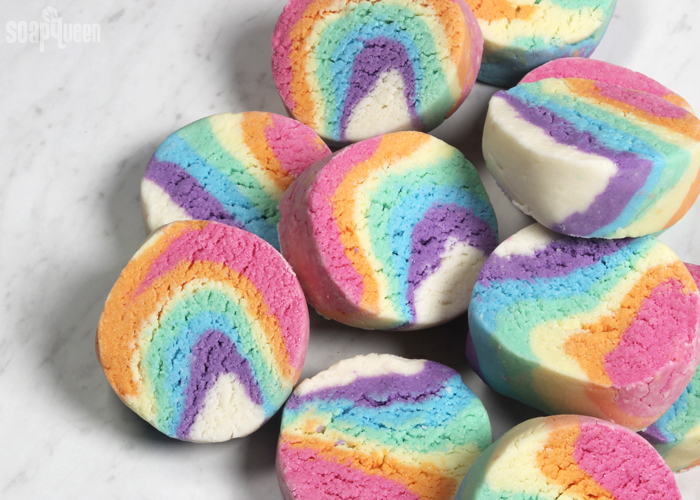 When it’s added to water it fizzes, bubbles, fills the tub with rainbow colors, and releases skin-loving shea and cocoa butter. 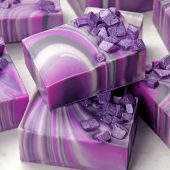 When that cocoa butter is mixed with Fruity Fusion Fragrance Oil, it’ll make your bathtub smell like chocolate-covered gummy bears. 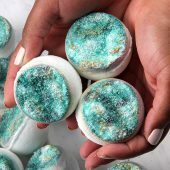 If you can’t get enough of this recipe, check out the Salted Caramel Bath Truffles and Mermaid Bubbling Bath Truffles. 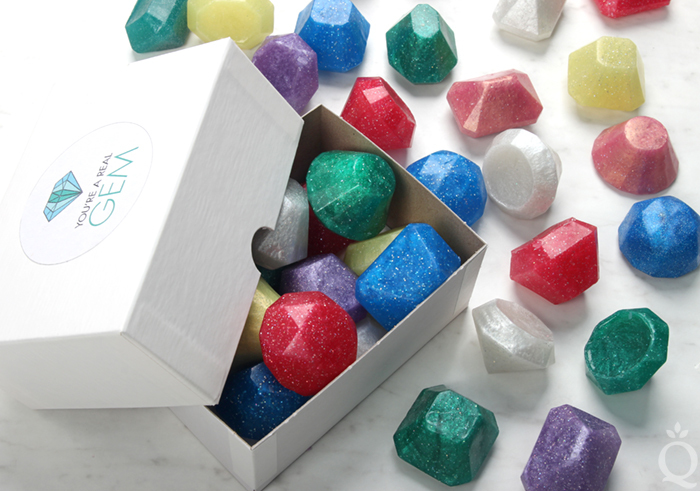 The Gemstone Collection was one of our favorites from the year. 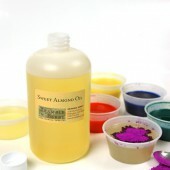 It includes Jade, Turquoise, Amethyst, and Moonstone fragrance oils. 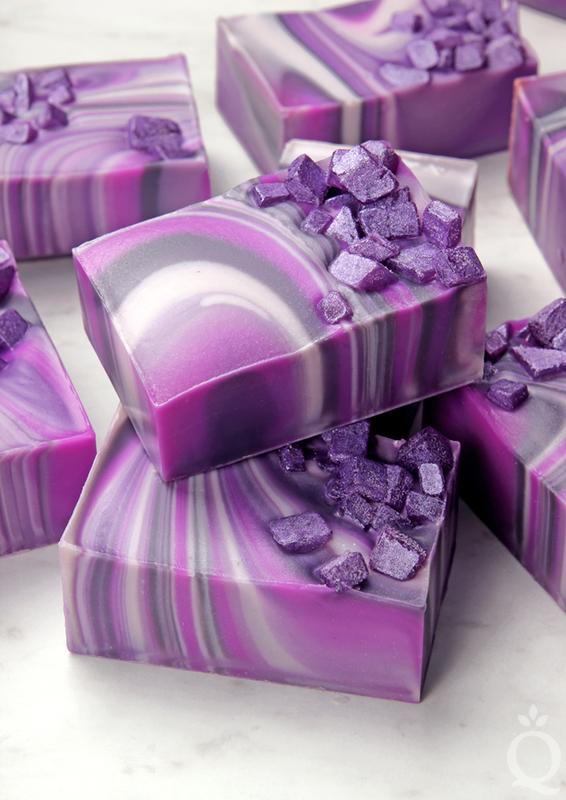 The notes of lily, lemon, pear, and melon in Amethyst Fragrance Oil inspired this spin swirl design. 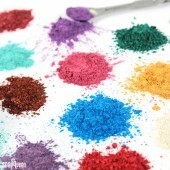 It features various shades of purple and it’s topped with shimmery melt and pour embeds. 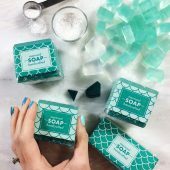 These soaps are the perfect DIY gift. 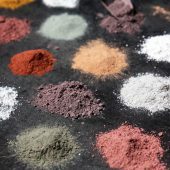 They couldn’t be easier to make – all you need to do is mix Clear Melt and Pour Soap Base with Fine Silver Rainbow EcoGlitter, Jade Fragrance Oil, and any colors you like. 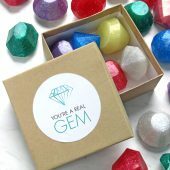 The Silicone Gemstone Mold creates adorable bars that you can package in a box and finish with the free “You’re a Real Gem” label template. 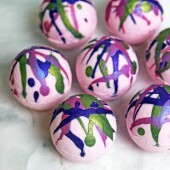 Last but certainly not least is this bath bomb recipe. 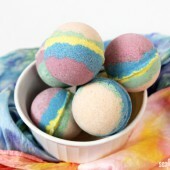 The base is a simple mixture of classic bath bomb ingredients, shea butter, and White Rose Fragrance Oil. 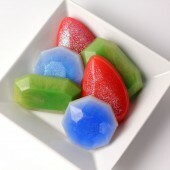 What makes them special are the colorants dusted on the outside. 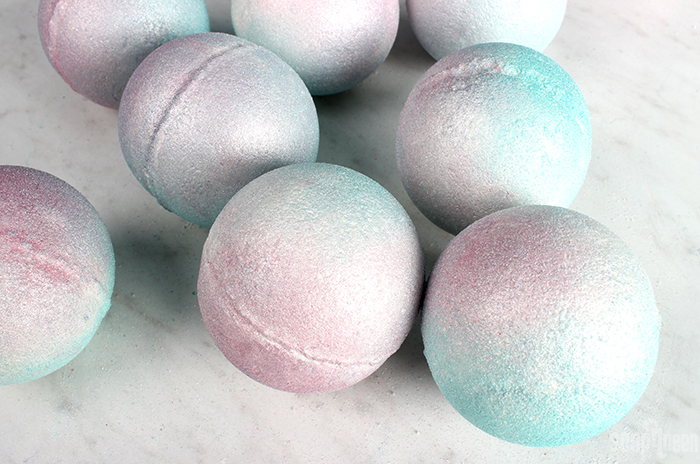 The Super Pearly White Mica, Rose Gold Mica, and Aqua Pearl Mica give the bath bombs a gorgeous iridescent look. 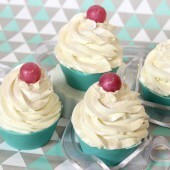 If you haven’t tried this recipe yet you should. It may become your new favorite. 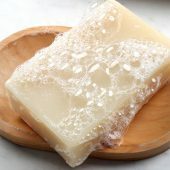 Hello good night, I bought a lotion kit from scratch, but I am not a mathematical person, can you please help meI want to make some lotion soon. My biggest problem is to add the preservative, help. I don’t understand how much to put. Please give me a example thanks. 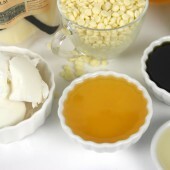 We recommend the preservative at 1% of the total weight of your recipe. So, once you know how much it weighs, multiply that by .01 to get the measurement. 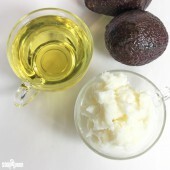 Thanks Kelsey for your reply,so what are you saying, for example,if I’m making 1.5 pound of lotion my amount of preservative would be 0.015.please tell me if I’m wrong.please tell me if I’m correct. I would like for you to give me an example, in pounds, thanks. 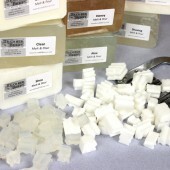 Hello am Daniel and here to learn about bar soap making. 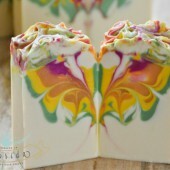 I want to go into soap making business here in Nigeria. Can anyone help me out pls????? Yes that’s correct, you would add .015 pounds of preservative to the recipe. 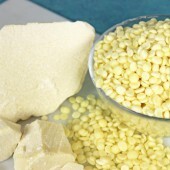 We use ounces because it’s easier to measure the smaller amounts like that. 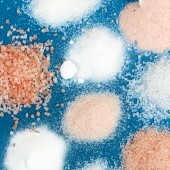 You can convert ounces and pounds with a search engine like Google. Just type “.015 pounds in ounces” and it will give you .24 ounces. 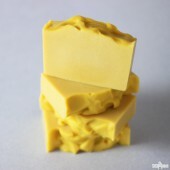 Kelsey how would you measure, .2 ounces and. 32 ounces, what do you use to measure that amount, cause on the suction droppers are ml, so please explain to me.I also have a 720 digital scale that I bought from bramble berry, and it can’t measure that tiny amount. KELSEY I watched the bramble berry lotion video, on how to make lotion from scratch, but in the video Anne is using a suction dropper to measure the .2 ounces of preservative. 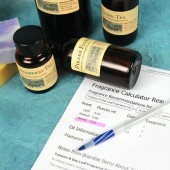 I have some suction droppers from bramble berry, and they mark from 1ml to 3ml. That’s what is confusing me,is it the same suction droppers or do you have others in ounces? Please explain, and thank you very much for your patience and time to aside me. 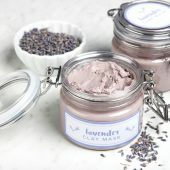 I really want to get things right, cause I will be selling these lotions, I want to learn from the inside out. Thanks again kelsea, I really appreciate your help. If the amount is 9 mL, just use the dropper more than once. So measure 3 mL, add it to the lotion, measure out 3 more, and repeat. 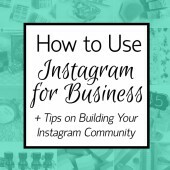 For the small ounce measurements you can use your scale. Sometimes those small ounce amounts are hard to measure on a scale, which is why you see mL and .2 ounces used interchangeably. 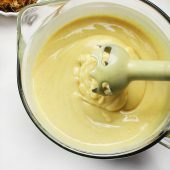 You can use either – if you use a scale, click “tare” and pour the product in until you get .2 ounces. 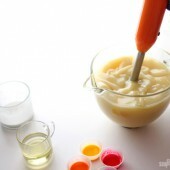 If you use mL, use the dropper to measure 6 mL. I think it may be easier to explain this over the phone. You can call customer service at 877-627-7883 between 9 a.m. and 4 p.m. PST and they can walk you through the process. would be 474 ml and 1 percent of preservative would be a little over 4.77ml . If I’m wrong please correct me. 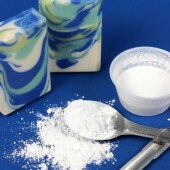 Converting to mL works well for smaller amounts, but for larger amounts we recommend using ounces. Weight measurements like ounces are more accurate than volume measurements like mL. 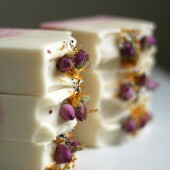 I make soaps, but have a conundrum about the use of flower petals, seeds, micas, etc as decorations on the soaps. I’m a bath person and the idea of floating stuff in my bath water is disgusting. 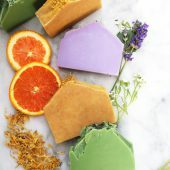 I stick with plain looking soaps, but should I fancy them up if I will be using them as gifts keeping in mind that maybe others are bath people, too? 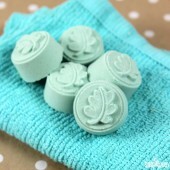 Have you ever had any feedback on floaties in the bath? Thanks. It’s definitely up to you. Some people don’t mind the mica and seeds in the tub, while others aren’t a fan. 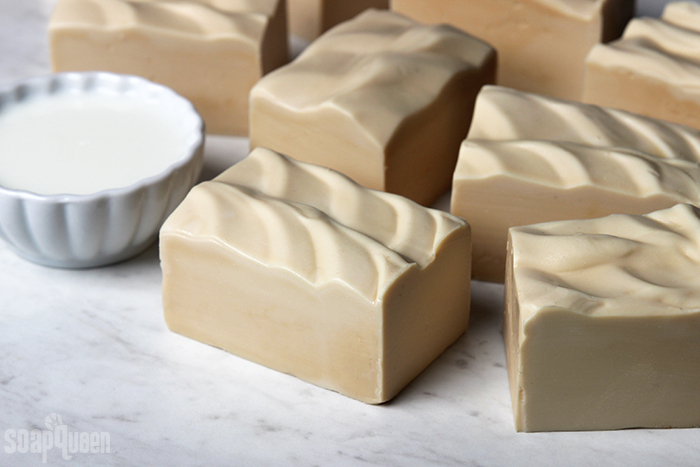 I would recommend sticking with what you prefer – if you make bars that you use and love, that will show through. 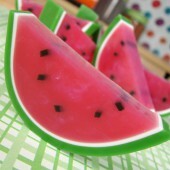 You can also try making a batch with decoration on top and see how people respond to it. 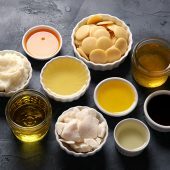 Tamanu oil has a unique texture, similar to neem or pumpkin seed oil. Those would be good substitutes for it. 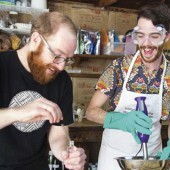 You may want to make a small test batch to see what you think. 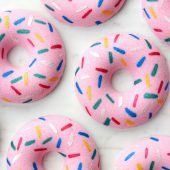 Hi, everybody: I visit here for the soaping tutorials and ideas. 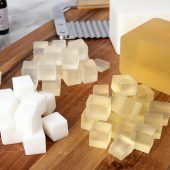 Although I didn’t try the goat’s milk one listed, I have used the oatmeal milk and honey fragrance oil and it was quite a surprise. I expected a very sweet smell and it was not. 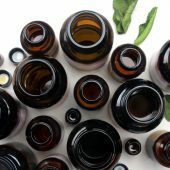 Out of the bottle, I smelled nothing, in liquid soap, I smelled nothing and in cold process soap ranging from fresh to two weeks’ cure, I smelled nothing. I really thought I got a bad batch. 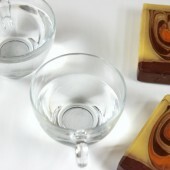 After 2 weeks, the scent started to develop and the soap started to darken (as promised it would). At 6 weeks’ cure the scent was very strong (though not what I expected) and very pleasing to the nose and months later the bars still smelled good. I really do recommend this scent oil. Glad you like it Eric – it’s a classic and comforting scent that everyone loves.